The widow of Methil born Black Watch soldier Private Mark Connelly has won the right to bury him in Forfar after a long legal battle with his mother who wanted him to be buried in Fife beside his Grandfather. Private Connelly died in 2011 and his body has lain in a morgue in London for three years while this extended family feud has raged in the courts. Private Connelly had previously been injured in a roadside explosion in Afghanistan which claimed the life of a colleague. It was after this, while he was stationed in Germany that he became involved in an altercation with another soldier at a bar and died after being punched in the face. The other soldier involved initially faced Manslaughter charges but those were dropped after he claimed at the Court Martial to have been acting in self-defence. The wife of Private Connelly contended that he had named her his executor in the event of his death after the 2009 Taliban bomb blast which he survived. His mother described his wife as being “jealous” of the close relationship they shared. 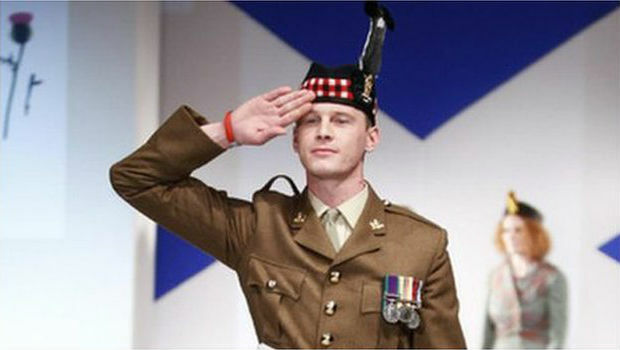 Private Connelly will now be laid to rest in a colourful ceremony in Forfar, Angus.